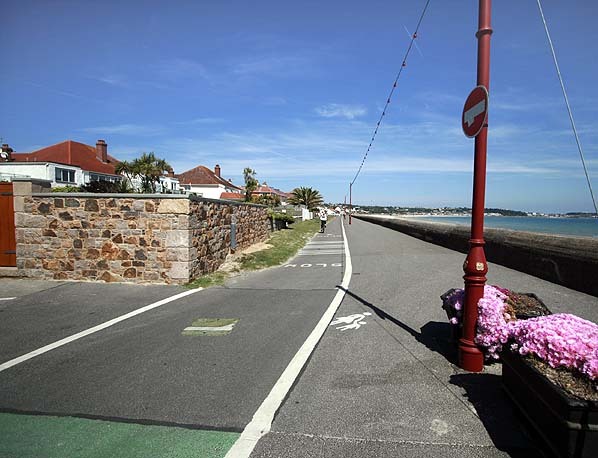 Notes: Beaumont was one of the original stations on the Jersey Railway, opening with the line on 25th October 1870. It had a single platform on the up side of the line with its building which incorporated booking office, waiting rooms and toilets at the west end of the platform. The original platform was built of timber, this was replaced c.1877. 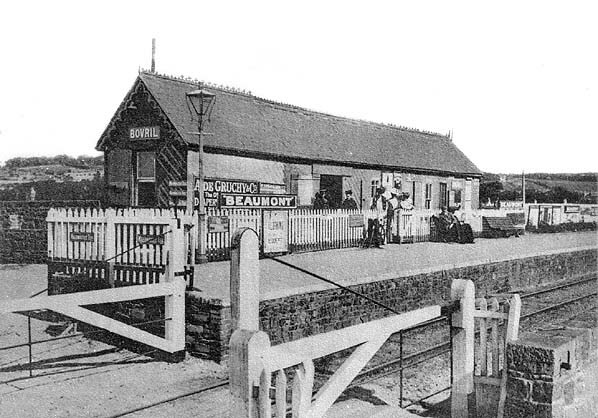 Commercial postcard showing Beaumont station in the early 20th century. 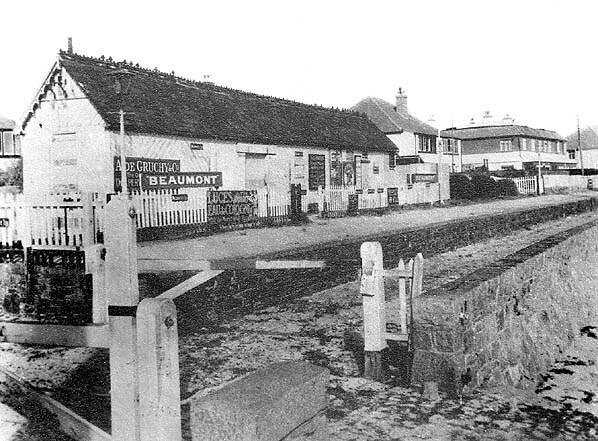 Beaumont station c.late 1930s. shortly after the track was lifted. Looking east at the site of Beaumont station in June 2010. A remnant of the platform survived here until the 2000s, it formed the lower part of the wall seen in this picture. It was removed when the house was extended and a new wall was built. The house in the middle distance is also seen in the late 1930's photo above.